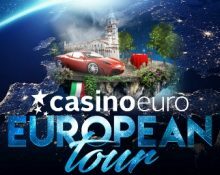 Casino Euro – The European Tour | Italy! Play for a luxury holidays & big cash prizes! Win a trip to Modena or cash prizes! Experience the food, the iconic cars such as Ferrari, Lamborghini or Maserati, the rich history and a plethora of fantastic cultural sites when you visit Modena as the winner of this week’s race at Casino Euro. Play on the selection of games and earn points towards the leader board. The winner will go on an exclusive trip to Italy while 19 runners-up players will win cash prizes. And that’s no all this week. 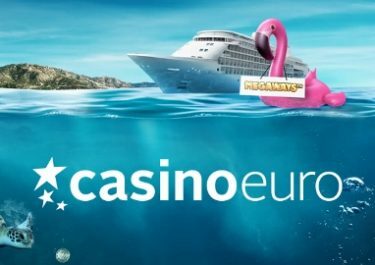 Casino Euro will award every player 15 wager-free cash spins on Immortal Romance for wagering on the race games, every day of the campaign. 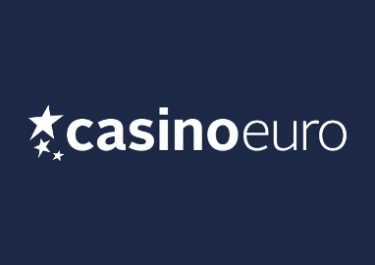 Get ready for 10 weeks of awesome at Casino Euro as they will be giving away two city trips to then European destinations and €50,000 in cash, bonus money and free spins. No OPT-IN is required as anyone spinning on the qualifying games can win prizes. Every week of the campaign, Casino Euro will give away two city trips to a selected destination. Among the locations are Venice, Amsterdam, London and Heidelberg. There is no cash alternative to the physical prizes. The prize will have to be accepted and confirmed by the winner within 72 hours. Play on Immortal Romance, Thunderstruck 2, Fortunium, Dark Red, Deco Diamonds from Microgaming and score one point for every €5 in cumulative wins to place on the leader board, which will updated every weekday before 18:00 CEST. The top prize is a trip to Modena, Italy while 19 runners-up will win cash prizes. For the fifth week, there is one all-inclusive trip to Modena, Italy up for grabs. Included are private airport return transfers, return flights from Europe for two, 3 nights B&B at the famous Salotto Delle Arti, Ferrari, Lamborghini and Maserati exclusive tours and fine dining at the splendid Ristorante Vinicio. Players placing from 2nd to 20th in this weeks race will win cash prizes ranging from €50 to €2,000. All cash prizes need to be collected in game after the promotion period have ended. To collect any eventual prize just enter any of the campaign games and you will automatically receive your prize with no wagering requirements. Players who wager cumulatively minimum €100 per day on the current race games will instantly receive 15 Cash Spins on Immortal Romance. This can be done once per day during the weekly period. To claim the spins, players need to open or reload the game. Winnings are cash, no wagering requirements. Launched as early as 2002, the casino is operated by the acclaimed BML Group Ltd. under licenses from the MGA Malta and the UK Gambling Commission. 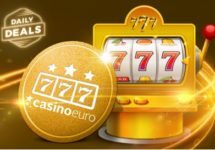 Casino Euro offers Casino, Video Poker, Table Games and Live Casino on desktop, mobile and tablet with games from well-known providers such as Netent, 1×2 Gaming, 2BY2 Gaming, Ainsworth, Bally, Barcrest, BetDigital, Big Time Gaming, Blueprint Gaming, Core Gaming, Elk Studios, Foxium, Game360, Games Lab, Games Warehouse, GTS, IGT Interactive, Inspired Gaming, Iron Dog Studio, iSoftbet, JustForTheWin, Leander Games, Lightning Box, MetaGU, Microgaming, NextGen, NYX Interactive, Novomatic, Old Skool Studios, Play’n GO, Pragmatic Play, Push Gaming, Quickspin, Red Tiger Gaming, Scientific Games, Side City Studios, Sigma Gaming, Skillz Gaming, Thunderkick, WMS and Yggdrasil. 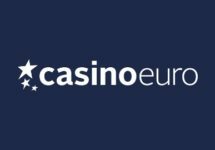 Their LIVE Casino tables are powered by Evolution Gaming, Extreme Live Gaming and Netent Live.